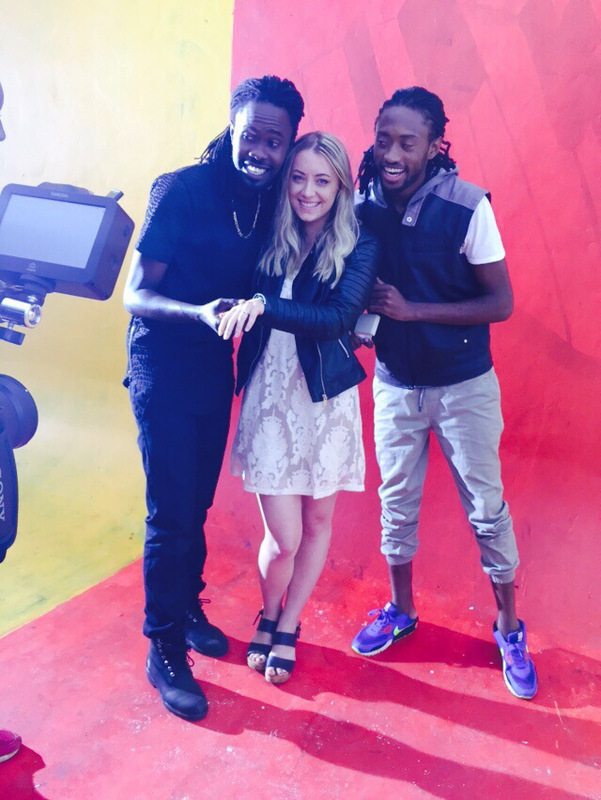 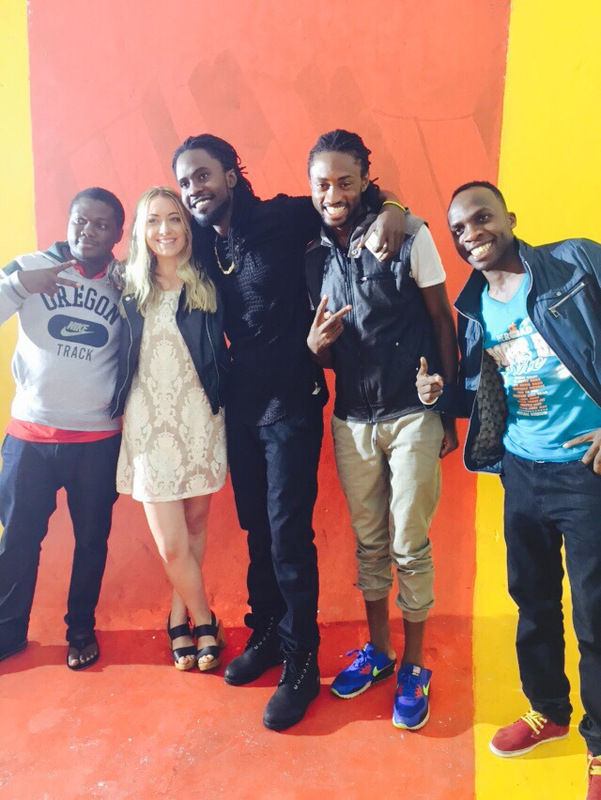 Uganda's fast rising gospel musician Coopy Bly who has been in the country shooting a video with director J Blessing surprised everyone when he popped the question in the middle of a video shoot. 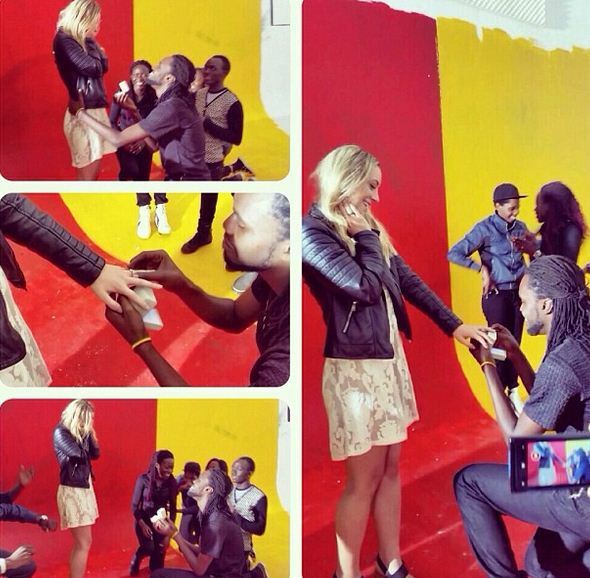 Coopy Bly who was accompanied by his girlfriend and others from UG, proposed to his white girlfriend while shooting the video for one of his upcoming gospel jams. 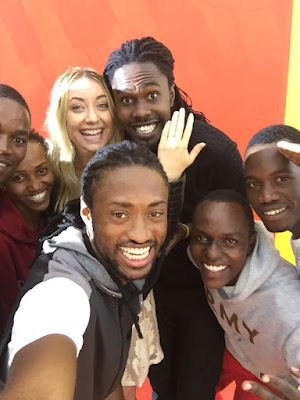 The super cute girlfriend who obviously said yes also looked surprised but excited by the act, here are some of the photos they shared on the social media.